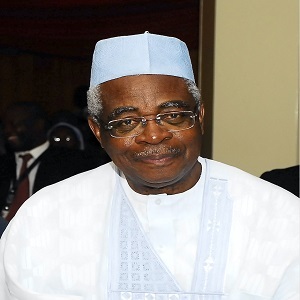 Theophilus Danjuma, former minister of defence, says the Muhammadu Buhari-led administration has plans to use police and soldiers to rig the coming elections. The retired army general made the allegation on Tuesday at the inauguration of a medical laboratory at the Rufkatu Danjuma Maternity Hospital in Takum, his hometown in Taraba state. Describing Nigeria’s democracy as primitive, he said there is a plan to cause unrest that would make some states ungovernable in order to manipulate the elections. “We must work hard for peace in addition to just registering and obtaining our permanent voter cards,” he said. The US had also raised concerns over the neutrality of security agencies in the elections, starting in February. Former President Olusegun Obasanjo had also questioned the impartiality and competence of the Independent National Electoral Commission (INEC) to conduct a credible election.